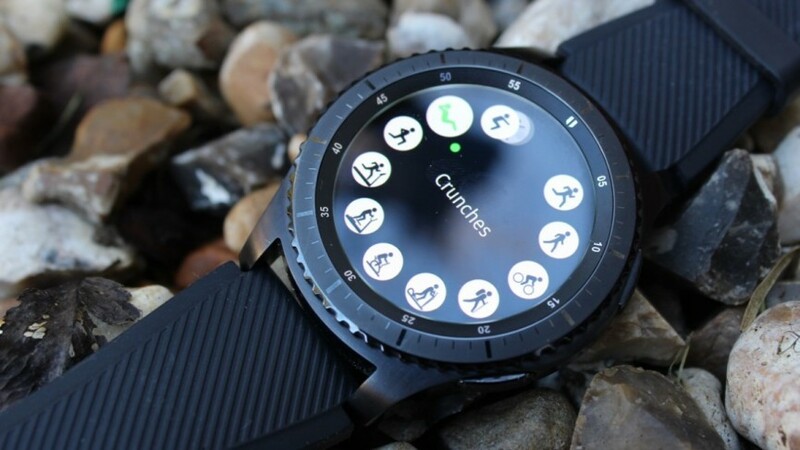 Samsung has released a software update for its Gear S3 Frontier and Gear S3 Classic smartwatches, giving users an improved S Health platform and other apps. The enhancements, which Samsung is tagging as a 'value pack update', are set to roll out to different regions after initially only being made available in select markets. The biggest change comes to the platform's health app, which will now sport a refreshed interface and offer new workout features. Users are now provided with approximate locations for detected running and walking activities, and can sync pace-setter running targets with the companion app, stay up to date with their daily heart range and access a Stretching guide that's activated after 50 minutes of inactivity. Reminders has also been given a lick of paint, now letting users add dates for reminders that can be fed through S Voice. This joins improvements to accessibility features, a revised Settings section, an auto-calibration option for the altimeter and barometer and a stopwatch that can now hit up to three hours. Of course, while it's a positive sign to see Samsung continue to improve the experience for Gear S3 wearers, this comes after security vulnerabilities throughout the Tizen software surfaced last week. Israeli security researcher Amihai Neiderman found 40 unknown security issues in Tizen, describing it as the "worst code" he has ever seen. It's possible Samsung has now managed to patch up many of the lingering vulnerabilities it faced. Those wanting to get on board with the more general improvements should be able to download the value pack update through the Samsung Gear app.